Support our club and proudly wear RLSCC branded sports gear. The RLSCC logo can now be embroidered on to a wide range of clothes for men, women and juniors. 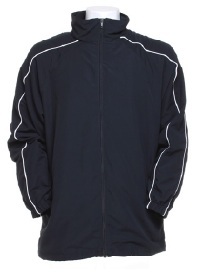 There is a huge range of colours available, but in all instances the club logo will be embroidered in yellow. The RLSCC official club colours are blue & yellow. Other useful accessories include towels, sports bags and towelling robes (his & hers). The full range of clothing can be found here. If there is anything that you would like adding to the range or have any feedback please email the committee. The RLSCC will earn a small percentage on all purchases. This income will be put towards the running costs of the club and equipment.